Albert’s contributions to discriminate deterrence. Excerpts exclude the supporting endnotes, but you can get them — and much, much more — if you view or download the PDF version of the book at www.albertwohlstetter.com/book. EXCERPT: THE WOHLSTETTERS ON LIMITING AND MANAGING NEW RISKS. Even if, implausibly, the Second and Third Worlds change rapidly to the market economies of the First World, nice though this would be, we are likely to discover once again that, contrary to Cobden and the Manchester School, trade and investment–good things though they are–are not all that pacifying. Trading partners have found a good many reasons to go to war. We haven’t seen the end of fanaticism, mortal national and racial rivalries, and expansionist ambitions. It is conceivable that all the variously sized lions and lambs will lie down together, that there will be the kind of moral revolution that many hoped for at the end of World War II when they thought it, in any case, the only alternative to nuclear destruction. But, as Jacob Viner [a University of Chicago economist] wrote at the time, “It is a long, long time between moral revolutions.” We should not count on it. In the years following, Wohlstetter’s apprehensions would prove well-founded as the end of the Cold War–a global competitive order that his work in strategy had helped in some ways to sustain and in other ways to end–gave way to growing international disorder. Seventeen months before the U.S.S.R.’s December 1991 dissolution ended the Cold War, Saddam Hussein‘s Ba’athist Iraqi military invaded Kuwait–producing a Persian Gulf conflict contingency that Wohlstetter and his colleagues had presciently warned of as early as 1980. In the early 1990s, Slobodan Milosevic‘s pan-Serbian ambitions ignited long-suppressed ethnic rivalries, and then genocide, in the Balkans. In the mid-1990s, deep racial rivalries would also lead to genocide in Rwanda. And in the late 1990s, after Osama bin Laden had issued a fatwa urging attacks on American citizens, his Al Qaeda organization carried out deadly bombings against U.S. embassies in Kenya and Tanzania–in retrospect, harbingers of the violent extremism and suicidal fanaticism that were yet to come. Moreover, the United States would discover just how lethally armed the former Third World and the Communist holdouts were becoming. In the aftermath of the Gulf War, the American-led coalition uncovered a Ba’athist Iraqi nuclear program far closer to producing a nuclear weapon than either the Western intelligence services or the International Atomic Energy Agency (IAEA) had ever anticipated. And at mid-decade, after North Korea had refused to grant the IAEA access to suspected nuclear weapons-relevant facilities, Washington began long negotiations with Pyongyang for an “Agreed Framework,” a “grand bargain” that sought to prevent the North Koreans from acquiring fissile material for a nuclear explosive device. Wohlstetter remained intellectually active during the post-Cold War period until his death in 1997. As a member of the Defense Policy Board, he supported U.S. efforts to liberate Kuwait from Ba’athist Iraq during the Gulf War. After the war, he lambasted Presidents George H. W. Bush and Bill Clinton for what he saw as their failures to respond meaningfully to Ba’athist aggression against Iraqi Shi’a and Kurdish populations, as well as to Saddam’s other violations of the United Nations Security Council resolutions that had established the stringent conditions for the Gulf War’s cessation. And in response to what he considered to be the shortcomings of the Agreed Framework between the United States and North Korea, Wohlstetter called on Washington to admit that the global spread of nuclear fuel-making is significantly driving the problem of proliferation and to face “squarely the challenge of persuading our major allies, not to say our potential adversaries [such as Pyongyang], to abandon the sale or use of plutonium fuel” and other weapons-usable nuclear materials. Although Albert Wohlstetter died in Los Angeles on January 13, 1997, and Roberta, in New York City on January 6, 2007, their work in strategy remains all too relevant and timely. 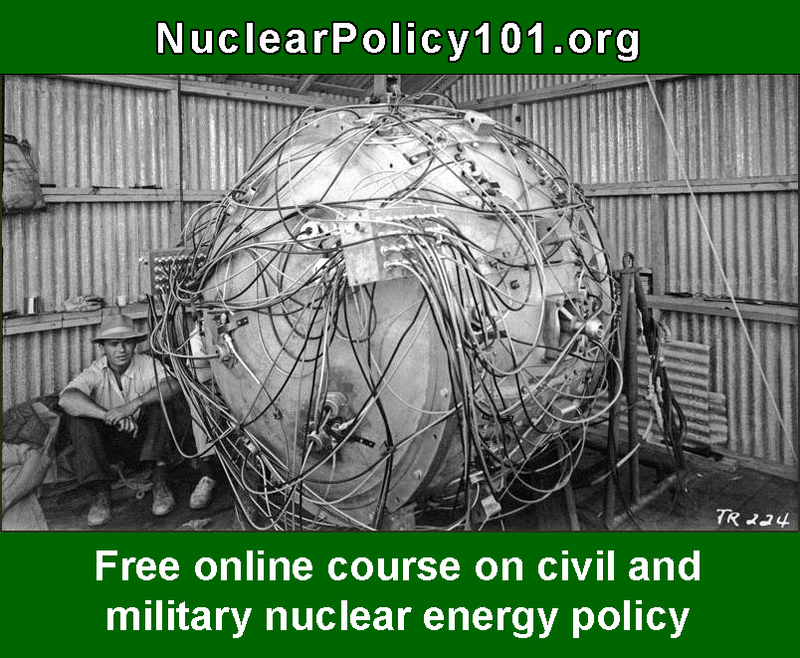 In the early years of the 21st century, the United States and its allies are now struggling with many of the problems of nuclear-age policy that the Wohlstetters themselves had anticipated and grappled with throughout their long careers in strategy–problems like the dangers posed by the spread of nuclear bombs, fuel-making technologies, and fissile materials to new states and non-state actors; the difficulties of enforcing ambiguously interpreted international law and nuclear nonproliferation rules; the uncertain economics surrounding energy security and alternatives for power production; and the proper role of deterrence and military force in an increasingly lethally-armed and disorderly world. Their writings on nuclear-age strategy and policy thus can help decision-makers and policy analysts (as well as those who aspire to these positions) to clarify their thinking on these most urgent matters. When Albert spoke of his approach to the analysis and design of strategic policy, he often liked to describe it as “coming down at right angles to an orthodoxy.” Indeed, Wohlstetter’s approach did not fit well the conventional dichotomy of hawk and dove. He was a strategist who had originally established his reputation for his path-breaking work on nuclear deterrence, a traditionally hawkish concept; yet he had added to that reputation not only by supporting nuclear nonproliferation, an often dovish concern, but also by consistently urging the U.S. Government to block the spread of nuclear weapons, weapons-relevant nuclear technologies, and weapons-usable nuclear material to America’s allies and adversaries alike. He was a strategist who, like the doves, was horrified by the brute destructiveness of nuclear weapons and nuclear war, yet hawkishly saw U.S. innovation in military technologies of precision, control, and information as a way of markedly limiting the potential of weapons for indiscriminate killing, thereby strengthening deterrence and making nuclear war less likely in the first place. Albert has always argued that in the nuclear age technological advances can, if properly understood and applied, make things better; but his point, and Roberta’s, has been a deeper one than that. He has shown us that we have to create choices and, then, exercise them. The Wohlstetters have created choices for our society where others saw none. They’ve taught us that there is an escape from fatalism. To these ends, this edited volume provides readers not only with the present essay on the Wohlstetters’ key historical contributions, but also with many of Albert and Roberta’s most enduring and relevant writings, some of which have never before been published. This volume’s six chapters correlate directly with the six themes set forth in the present introductory essay–namely, (1) Analysis and Design of Strategic Policy, (2) Nuclear Deterrence, (3) Nuclear Proliferation, (4) Arms Race Myths vs. Strategic Competition’s Reality, (5) Towards Discriminate Deterrence, and (6) Limiting and Managing New Risks. (However, the editors of this volume have remained mindful of James Digby and J. J. Martin‘s wise caveat that, given Albert and Roberta’s “continuity of concepts across many diverse types of military problems,” it therefore “may be inconsistent with the nature of [the Wohlstetters’] work to summarize their contributions in terms of discrete categories.”) Moreover, each chapter begins with a short commentary by a former colleague or student of Albert and Roberta–Henry S. Rowen, Alain Enthoven, Henry Sokolski, Richard Perle, Stephen J. Lukasik, and Andrew W. Marshall, respectively–before offering the selected Wohlstetter writings themselves. The great issues of war and peace deserve to be treated candidly and objectively, without wishfulness or hysteria…. [They] are tall orders. They cannot be filled quickly, or finally, or by means of some semiautomatic gadget, or in one heroic burst of energy. Nor will the answer come to us in a dream…. Our problem is more like staying thin after thirty–and training for some long steep, rocky climbs. If, as we are told, America is no longer a youth, we may yet hope to exploit the advantages of maturity: strength, endurance, judgment, responsibility, freedom from the extremes of optimism and pessimism–and steadiness of purpose. Comments? Send a note to info-at-robertzarate-dot-com. This entry was posted in In Focus and tagged 21st century, agreed framework, al qaeda, albert, balkans, berlin wall, bill clinton, cold war, future, george bush, grand bargain, iraq, khalilzad, margaret thatcher, north korea, nuclear, osama bin laden, perle, robert bartley, roberta, russia, rwanda, security environment, serbia, slobodan milosevic, soviet union, terrorism, thermonuclear, wall street journal, wohlstetter, wolfowitz, yeltsin, yugoslavia. Bookmark the permalink.